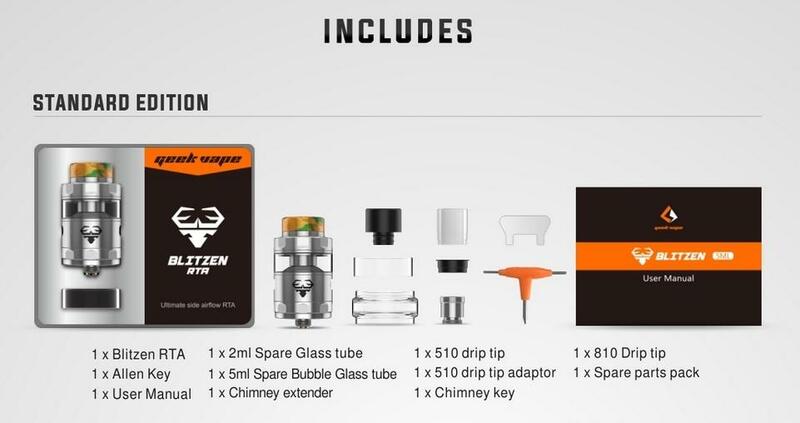 GeekVape Blitzen is an ultimate side airflow RTA with leak-proof design in 24mm diameter. The smooth airflow blows directly to coils with a shortest path to drip tip, which delivers full flavor and massive vapor production. And the 18mm postless build deck allows easy coil building and supports both single and dual coil build.